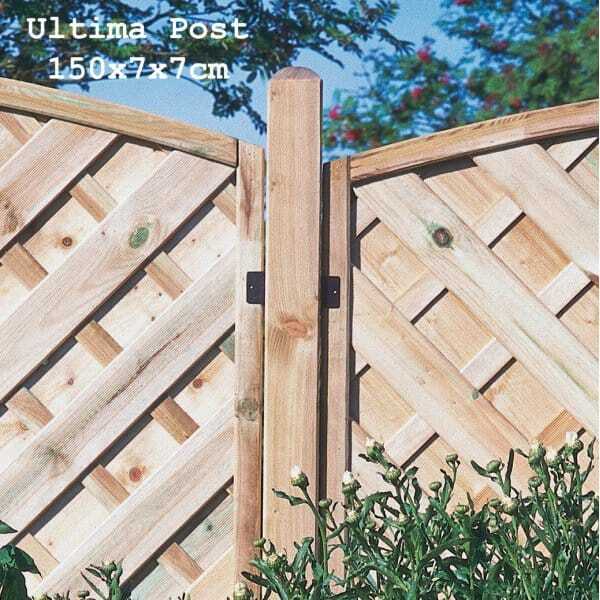 Forest Garden Ultima Fence Post: 3 Sizes in 70x70mm Thickness: The Forest Garden Ultima Fence Post: 3 Sizes in 70 x 70mm Thickness is a fence post that matches the same finish as the Europa Fence Panels. This post comes in different heights to suit your garden fence needs. The timber has come pressure treated so you don't need to apply a timber treatment yearly. The domed top prevents the need to attach a finial or post caps. Please Note: Price is Per Post-Quantities of Items Can Be Amended At Check Out.